ZhuoZhou Three Source Equipment Company is an integrated corporation specialized in manufacturing and exporting petroleum prospecting machinery. We located in Zhuozhou city, about 60km away from Beijing Capital and 100km away from Tianjin XinGang port. It has the superiority in transportation. As supported by veteran designers and engineers, mainly of them deal with studying, designing and manufacturing drilling rigs for petroleum prospecting for decades. The products are widely used in the scope of mining, water well drilling and exploration etc. Our products possess the patents, even more some are original in domestic. Such as: TSP series rig for mountainous region, TST series truck mounted drilling rigs and FJ fire-fighting rescue vehicle. The main parts of equipments are famous brands which imported from abroad. Therefore you can believe in the quality and technology. Our products have been exported to many countries like: India, Iran, Pakistan, Congo, Gabon, Kuwait, Mongolia and United Arab Emirates etc. So we can provide you with high quality products, competitive price and the best overseas after-sales service. The well-warmed teamwork enable us to complete all the assigned projects successfully. And we got a rapidly increasing of market share. It will have the flourishing prospecting in this filed. With the aim of manufacturing drilling rigs for petroleum prospecting that can reach the world leading level, we will devote on making improvement for new design. WE HAVE BEEN IN MANUFACTURING DRILLING RIG FOR 10 YEARS. 99% of our drilling rig are exported to many countries. Our products possess the patents, even more some are original in domestic. 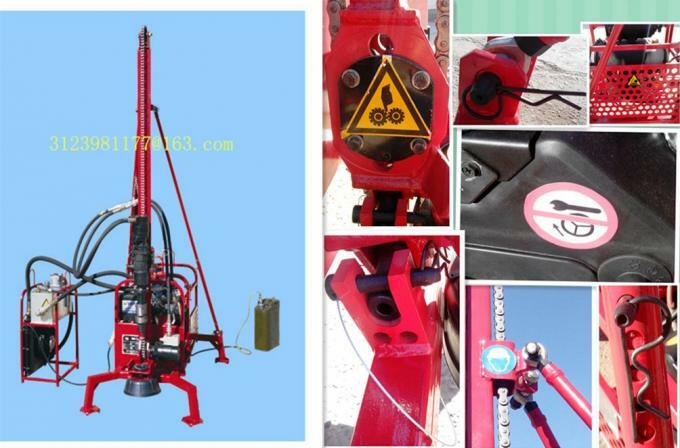 Such as: TSP series rig for mountainous region, TST series truck mounted drilling rigs and FJ fire-fighting rescue vehicle. The main parts of equipments are famous brands which imported from abroad. Therefore you can believe in the quality and technology. Most the products have been exported to many countries like: India, Iran, Pakistan, Congo, Gabon, Kuwait, Mongolia and United Arab Emirates etc. So we can provide you with high quality products, competitive price and the best overseas after-sales service. The well-warmed teamwork enable us to complete all the assigned projects successfully. And we got a rapidly increasing of market share. It will have the flourishing prospecting in this filed. FULL SET AFTER SALE SERVICE, COMMISSIONING, TESTING, MAINTAINING, TRAINING AT DRILING AREA, SUPPLY PARE PARTS. IF NECESSARY, WE CAN DISPATCH OUR PROFESSIONAL TECHNICIAN GO ABROAD TO PROVIDE TRAINING SERVICE, INLCUDE ASSEMBLING, COMMISSIONING, TESTING, ADJUSTING HYDRAULIC SYSTEM, DAILY MAINTANING AND SATEFY NOTICE. It is very important to protect the operator and others from injury. In order to ensure the operator use and maintain the drilling rig safely, we will provide the relative operation and maintain manual. For example: the training, proper training will help operator from injury. use correct tools. There are warning marks on drilling rig also. etc. WOEKERS, TECHNICIANS, MAINTANING, REPAIRING, GENERAL MANAGER, INTERNATIONAL TRADING, AFTERSALE SERVICES. As supported by veteran designers and engineers, mainly of them deal with studying, designing and manufacturing drilling rigs for petroleum prospecting for decades. The products are widely used in the scope of mining, water well drilling and exploration etc. Our products possess the patents, even more some are original in domestic.